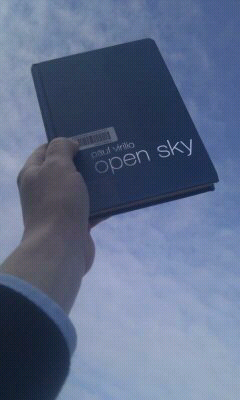 Thus little treasure found its way into my hands a couple of days ago, Open Sky by Paul Virilio written 1997. It questions our illuminocentric perspective of reality...and that's just the introduction. Can't wait to read part one.